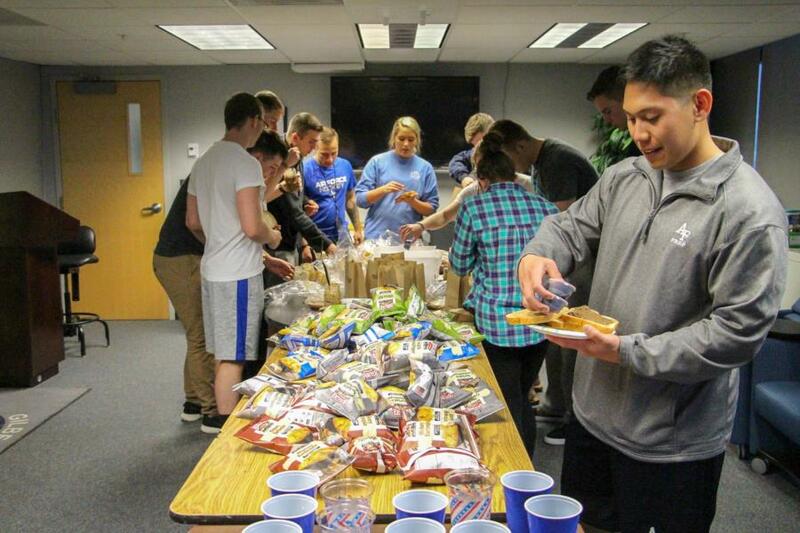 The Association of Graduates had a blast hosting their second “Study Break Treats” for the Prep School on Monday night! We want to give a big thanks to Rocky Mountain Spice Company and PB and Jellies for assisting the AOG in treating the Preppies! P.B. & Jellies brought in several varieties of peanut butter and jellies so individual sandwich creations could be enjoyed. Did you know that P.B. & Jellies will deliver to the Prep School? Check out their website for more information. Rocky Mountain Spice Company also provided lemonade for the "Study Break Treats" AOG event at the Prep School. Click here to check out their website! To see the rest of the pictures taken at this event go to Classes - Prep School - Prep Life. Or click the link below.